Ever wondered what is so special about the Japanese bullet train, or the Shinkansen? 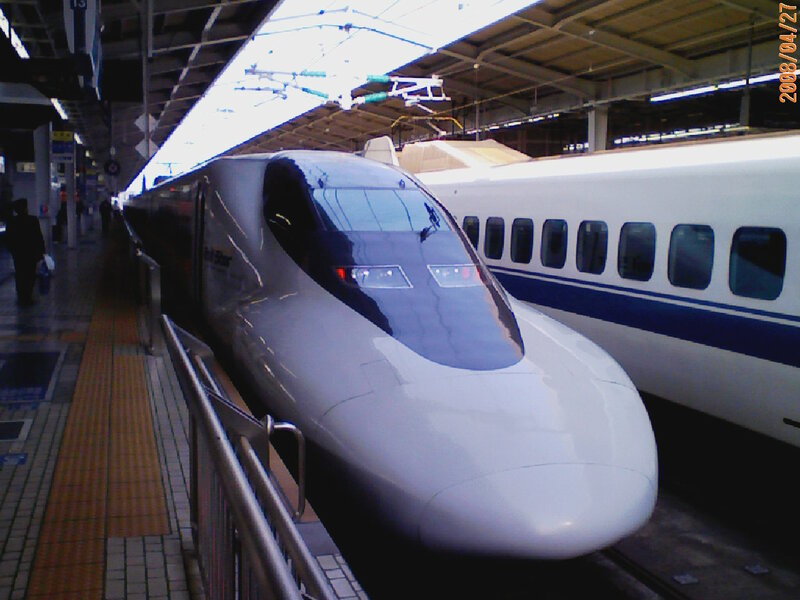 It attracted lots of attention from around the world when it was first created, due to its record-breaking average speed of 300km per hour, its chic smartly designed shape to reduce air resistance, and the convenience it brings to tens of thousands of people by transporting them from one end of Japan to the other within a few hours. However, the Shinkansen is not merely a symbol of Japan’s state-of-the-art technology, it is also an epitome of the Japanese spirit of omoiyari (thoughtfulness and consideration for others). Not only do the train staff bow to the passengers silently before leaving and entering the carriage, there are a few secrets hidden behind its making. If you have been on a Shinkansen before, you might know that most Shinkansen trains have two kinds of rows- the two-seater row and the three-seater row. The seat in the middle of the three-seater row is actually slightly wider than the rest. 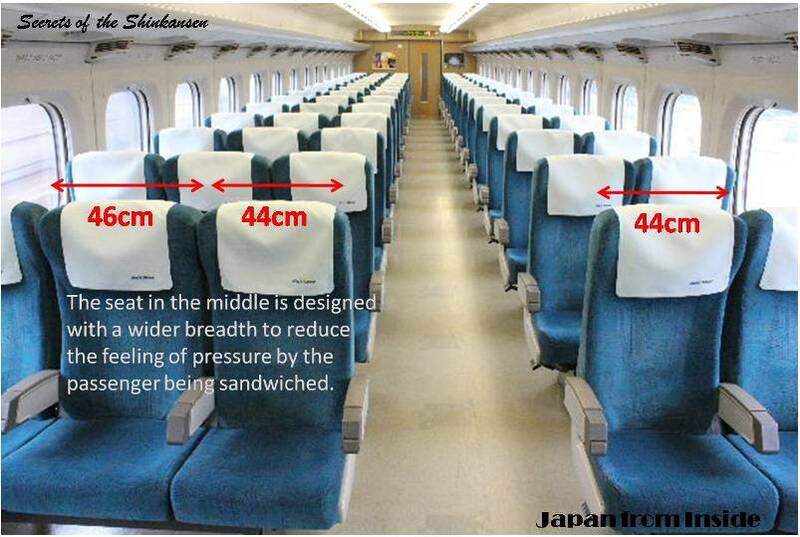 It measures a width of 46cm, 2cm more than the 44cm of the other seats. This was deliberately created so as to reduce the feeling of oppression of the passenger who is sandwiched between two people. It is this little spirit of service and thoughtfulness that make the whole journey a pleasant one. Furthermore, the reason why there are two-seater and three-seater rows is to accommodate to any group that comes on board. A single traveler can take any seat available. A couple can have the two-seater row to themselves. A group of three take the three-seater. A group of four can take two two-seaters. (The seats can be rotated so that the group of four people will be facing each other.) A group of five can fill up a row of two- and three-seaters. A group of six takes up two three-seater rows. (Once again the two rows of three can rotate their seats to face each other. Now you know the secrets of the Shinkansen, try looking out for and appreciate them the next time you go on board! That’s right! It is really the small things that make the biggest differences!